It’s time to get out and enjoy our backyards again! If you’ve been thinking about adding a patio or sitting space to your property as part of a southeast Calgary landscaping project, the pros at Mirage Landscaping are here to help. For three generations, our family-owned business has been delivering exceptional quality and value to Calgary-area homeowners, and we’d be happy to make you our next success story. Planning a patio starts with deciding its purpose and location. Adding a patio to your yard is one of our favourite projects, as we can picture the enjoyment it will bring to the homeowners. If you entertain a lot, is it feasible to create multiple outdoor gathering areas, or to create a patio layout that can accommodate several groups? What about a design that encourages guests to move well out into the yard, rather than simply hanging out near the house? This is especially smart for smaller yards. Once you add a tables and chairs, will there still be enough room for people to walk around comfortably? If possible, could you create separate “patio rooms,” or several separate outdoor areas? This enhances the versatility and overall functionality of the patio space and encourages exploration. Brick is an extremely durable and popular building material that has been around for thousands of years precisely because it conveys a sense of timelessness. The look of a well-planned and well-executed brick patio space will never go out of style. The handsome look of brick, featuring a baked in colour integrity that will weather but never fade, complements houses of almost any architectural style. Brick can look rustic to downright ultramodern depending on the style of brick and the layout chosen. We can accomplish a lot of things with brick, and enjoy being as artistic as we can with its use. Of course, we always combine our creativity with plenty of utility. Your brick patio can feature a fire pit in the middle, surrounded by built-in bench seating surfaces. If you’d rather, a fountain or water feature can be the focus. Do you fancy an outdoor pizza oven? With brick construction such touches are easy to create. Whether you are into grilling over open flames or want a discretely hidden propane cooking insert for less clean up, it can all be done with brick, including hooded chimney structures to take smoke well over the heads of your party. 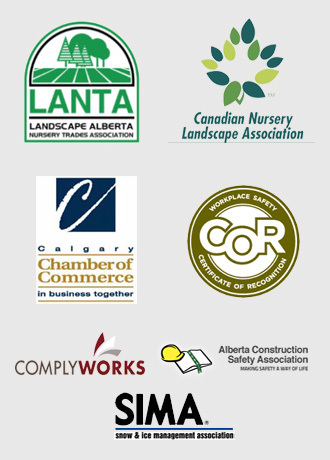 The experienced Calgary landscaping professionals at Mirage Landscaping will work closely with you to create the perfect patio design for your unique needs and preferences. We’ll help you achieve your vision while keeping your costs as low as possible — it’s all part of our 100% customer satisfaction guarantee. If you’re ready to take the next step in your patio project, we’re here to provide all the assistance and expertise you need. 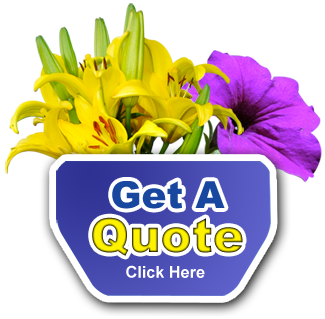 To request a quote for your patio, or to inquire about any of our other services, contact us today.